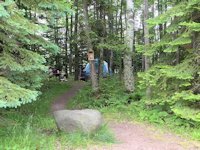 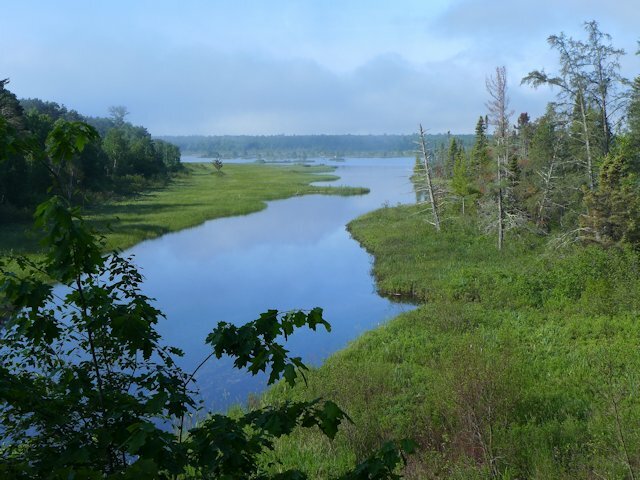 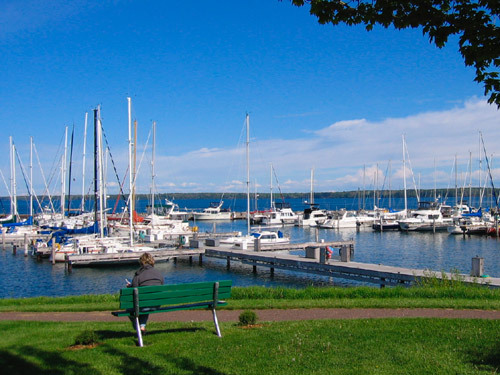 La Pointe Township's Big Bay Town Park on Madeline Island is located 3 miles north of Big Bay State Park. 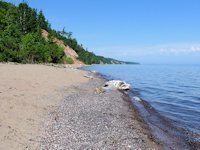 The two parks are joined by a 2.5 mile sand spit that separates Lake Superior from Big Bay Lagoon. 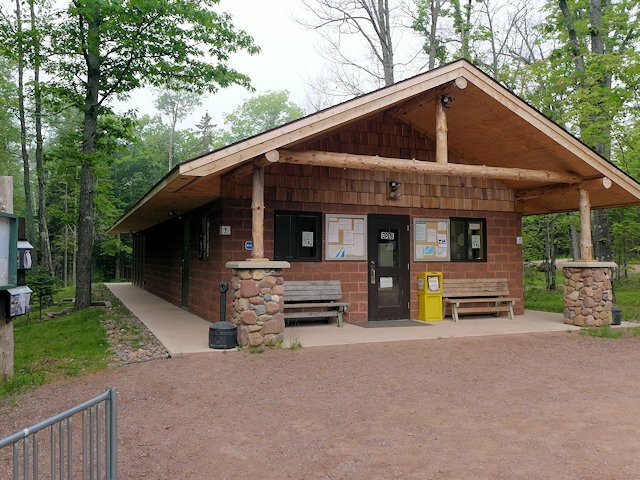 The park and campground has recently undergone an extensive facility upgrade that in our opinion changed it from a middling C-minus campground to B plus. It now rivals Big Bay State Park as a great camping destination for families who love the outdoors but still want a few urban comforts. 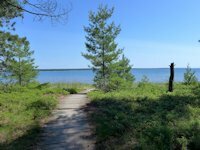 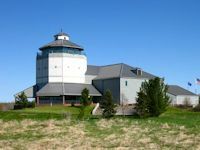 It is located along Big Bay Road, the park is about 7 miles from the village of La Pointe Wisconsin where there is a general store, restaurants, ice cream parlors, gift shops, golfing, and other entertainments. 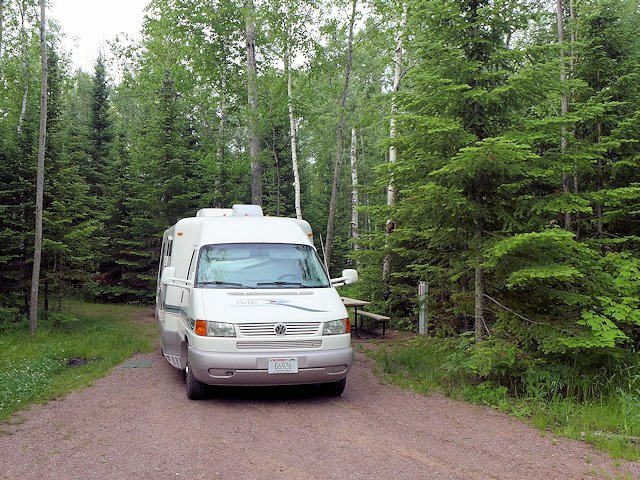 Close enough to town for convenience yet far enough to offer isolation from the hustle and bustle. 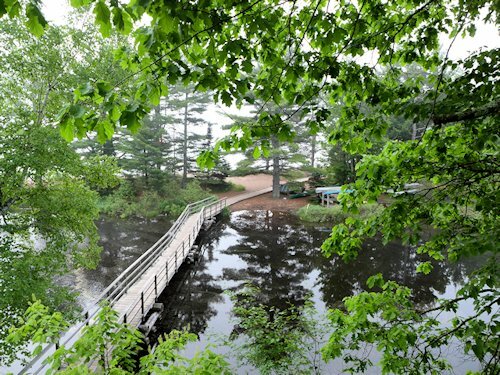 Many campers bring bicycles to ride around the park, tour the island itself, or run into La Pointe for its entertainment. 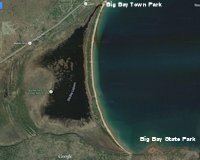 The swimming beach is near the mouth of Big Bay Lagoon and faces east so the morning sun helps warm the waters early in the day and the beach would still catch rays into mid-afternoon. 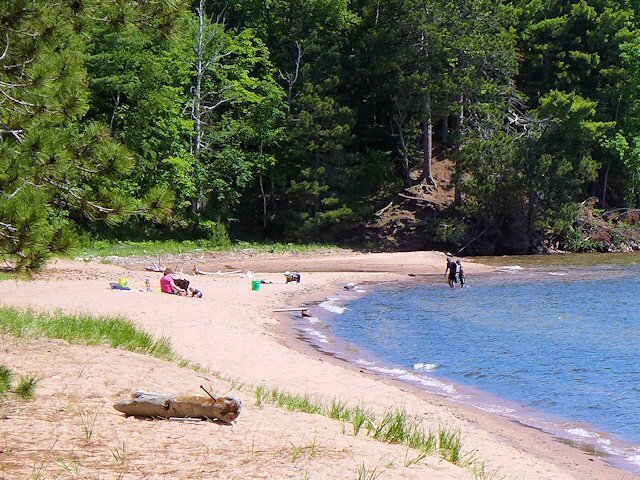 In addition to swimming and biking, other park entertainment includes hiking trails, canoeing or kayaking, rock picking, beach combing, and fishing. 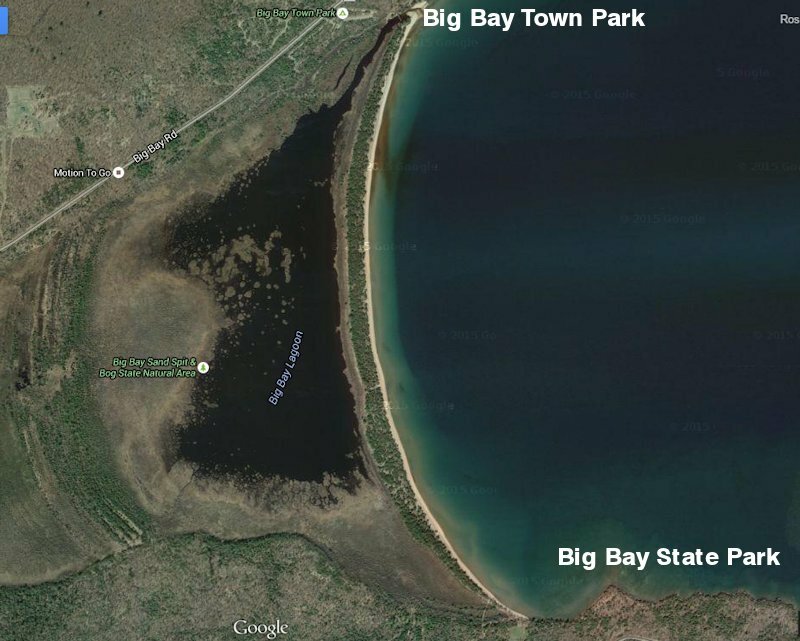 Easy access to the spring fed Big Bay Lagoon adds variety and options for fishing, canoeing, and kayaking. 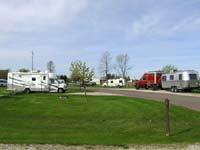 The campground has 61 campsites, including 22 RV sites with electric service. 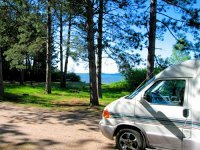 Several of the sites w/o electric service would accomodate RVs who don't need utilities. There are brand new washrooms and a shower facility and an attractive pavilion, for group gatherings and BBQs. 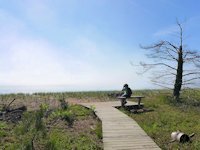 It is connected to Big Bay State Park by the sand spit or barrier island via a boardwalk and hiking trail, it is an easy 2+ mile walk with rest benches sprinkled along the trail. 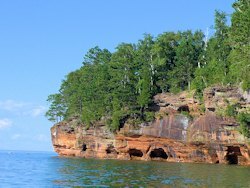 The narrow sand peninsula that separates Big Bay Lagoon from Big Bay of Lake Superior is a unique and tranquil environment. 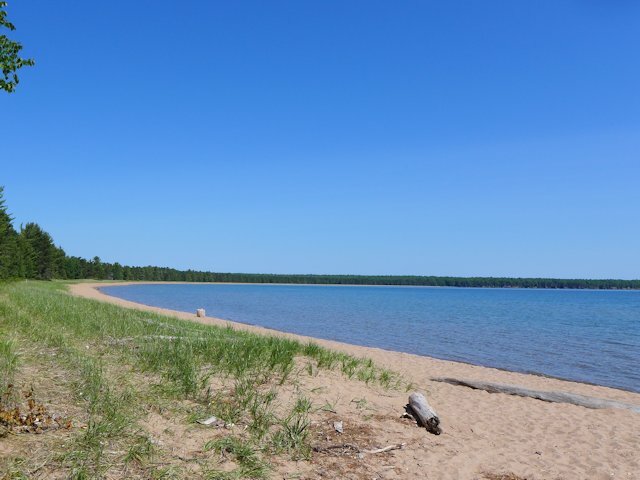 The sand beach stretches unobstructed for over 2 miles between the two parks. 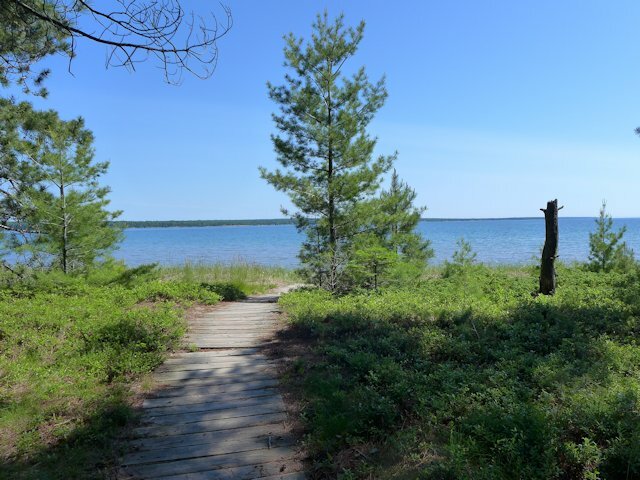 Along the Boardwalk there are occasional access trails leading to the beach, some with benches to relax and contemplate or just enjoy the fresh air off the lake. 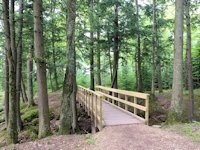 View from the stop of the steps that lead to the bridge pictured at the top of this page. 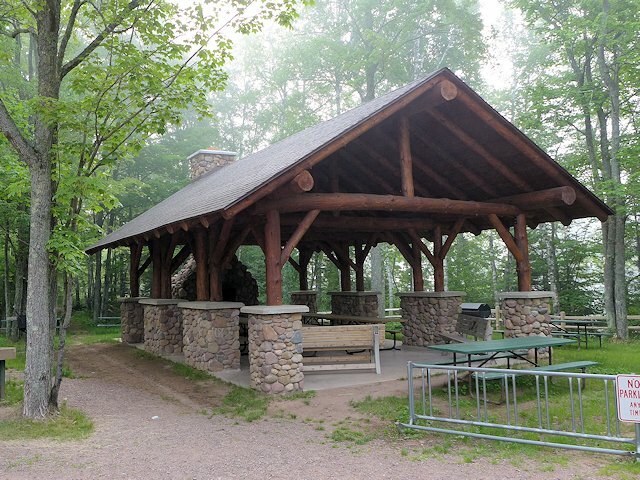 < < < The park offers 61 camp sites, including 5 walk-in campsites like this one. 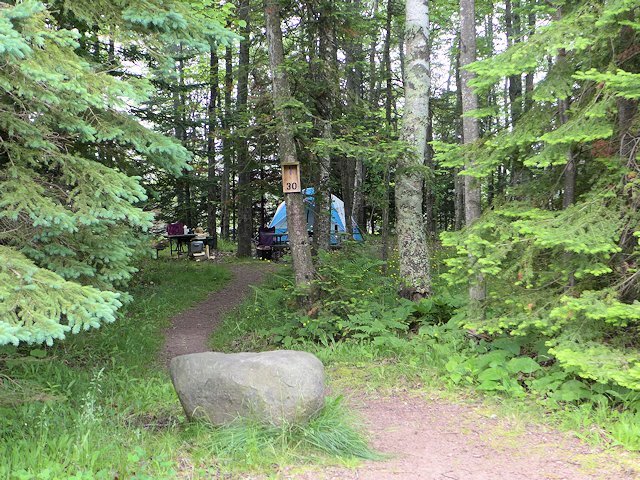 One of the new RV campsites, with electric hookups. The Picnic Pavilion with a stone fireplace and large BBQ grill and the new Bath House and Office. 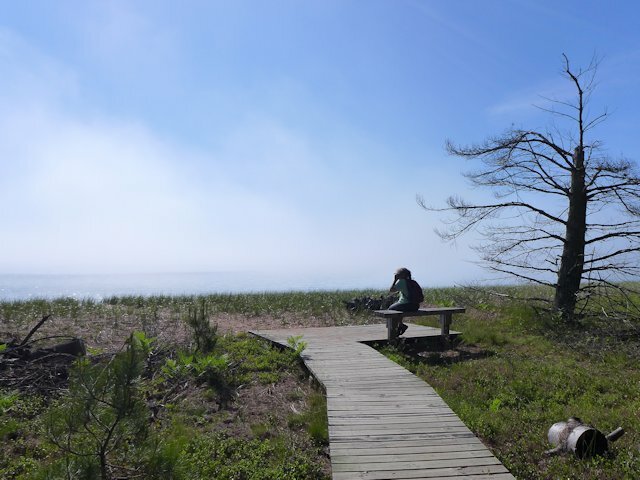 Wi-Fi is available on the porch of the office. 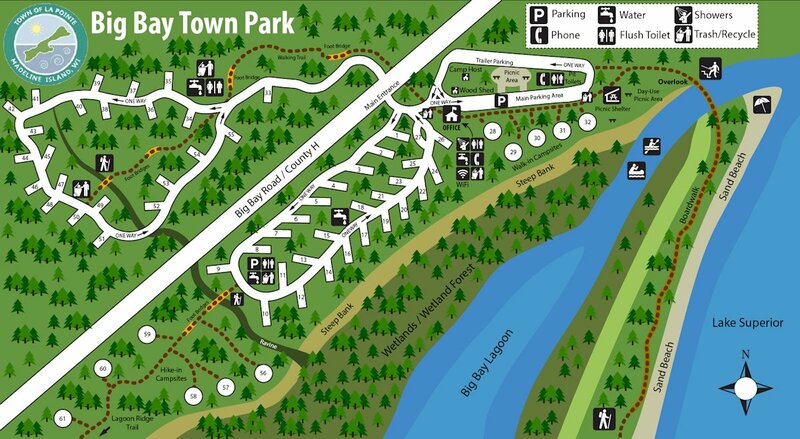 < < < Here's a map of the park and campground. 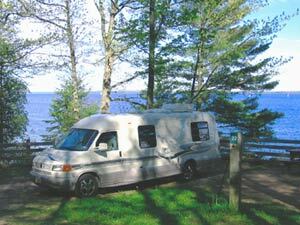 Like Camping or RVing, see our Directory of Bayfield Area Campgrounds.